A lot of business establishments had collapsed due to poor management strategies. A business strategy is defined merely as the rules, guidelines, and steps employed in the process of investments. A business organization is reputable for consistency and profits due to the measures put in place in the strategy. The aims and objectives in any investment are to optimize and maximize profits even to the slightest increment. 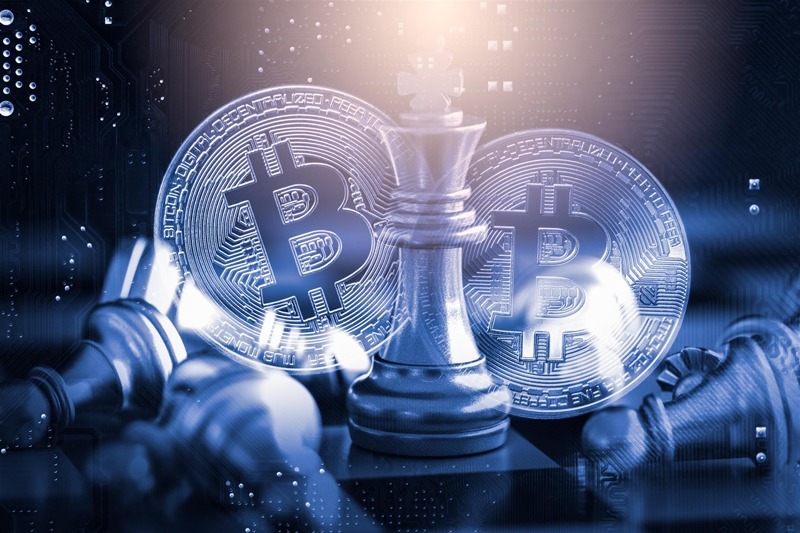 In the investments of cryptocurrency, the strategy of investment is significant since it is a market that is gaining grounds in today’s global economy. It is an investment that shares many positive attributes to the stock market. This article will be centered on the best strategies employed in trading cryptocurrency. Information is power. Knowledge is wealth. It will be imperative to have a foreknowledge of any business before investment. Imagine an individual without training or skill about driving, mounting the seat of a car hoping to drive. What will be the outcome of his destination? Disastrous! It is crucial to have a basic knowledge of what is a cryptocurrency; how they are generated (opening a wallet) and how they are funded. The strategies employed to generate a high yield in cryptocurrency investment will be a roadmap to financial success when trading cryptocurrency. You will also need to know the concepts of the market; the crypto market is a speculating one, and an investor needs to study the trends carefully. There are tools and indicators on which the market operates especially for long-term investors. The On-Balance-view OBV is a useful tool not just to know the ranking of trending cryptocurrencies, but an indicator showing the flow of money in the crypto market. It will be very beneficial to study how the various cryptocurrencies are fairing in the market since their inception. One study indicated significant growth in the crypto market regardless of the type of cryptocurrency you are buying. Keeping a track record on the trend will clear your doubts on the best cryptocurrency to buy. There are two plans to consider in the cryptocurrency investment. The short-term investment and the long-term Investment. An investor needs to map out his strategy on the choice of his duration in the venture. If you are a short-term investor, you may not have the time limit to determine your profit. The expected gain may not be in your favor since the market is dynamic. There is the possibility that the market is experiencing a downturn during the duration of your short-term plan. Do you move swiftly and sell your currency without a gain? That is a bad business. A long-term investor, on the other hand, has the advantage of a much longer time to study the dynamics of the market and know when to trade for gains. Many investors had recorded massive loss in the past due to wrong timing in trading their cryptocurrency. Studying the daily trend in the market will tell you when to buy or sell. A keen follow-up of the charts of the various types of cryptocurrency will be helpful for an investor to make their choice. A fall in the currency is an indication that an investor can buy more. Selling your currency when there is a significant rise in the value is an assurance for gains. A successful investor in the business of crypto market needs to keep an ‘eagle-eye’ to broaden his horizon to spot feasible green flags towards profits. Are you a significant investor in the crypto market or do you plan to invest massively in the market? It will not be a wise idea to throw all your hard-earned money into one type of cryptocurrency. There are a lot of cryptocurrencies today. This strategy is also referred to as pair trading. An investor trades in another peer currency so that they can compare their trends in the market. If a particular one suffers a shortfall due to technical issues, you can be assured that your money is still intact elsewhere in another wallet. Trading in multiple cryptocurrencies gives you the advantage to easily switch currencies to better offers. The growth potential of any cryptocurrency can be a determinant of how investors move in. Offering a higher percentage when an investor purchases a buy-and-hold category of account, for example, will attract more investors. Growth potential is an indicator of prospect in a volatile market. Choosing a cryptocurrency carriage with a high growth potential is a very salient business strategy. Patience they say is a virtue. Most investors want to make money within a short period. Impatience will be a disadvantage to a short-term investor, but patience will be an advantage to the long-term investor. A long-term investor should be patient for the long wait especially when the market is down so that he doesn’t make quick haste into selling his currency. The greatest fear of an investor is the risk. Poor knowledge of a particular business increases one’s fears of taking risks. With the best strategies employed on trading cryptocurrency, you are on an assured platform towards success. It is worth taking the risk when the proper knowledge is obtained and the best strategies planned out.